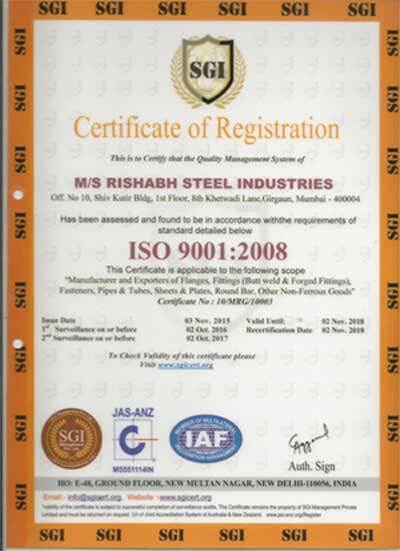 Rishabh Steel Industries is Manufacturer & Exporter a wide range of Pipe fittings in Seamless and Welded in Stainless steel Materials We utilizing high grade raw material and advanced technology to produce Pipe fittings which are available to our clients with manufacturers test certificate as per EN 10204 / 3.1 & 3.2 under third party inspection and with confirming to NACE MR-01-75. We are regularly supplies this fittings to core industries such as Sulphuric acid and Phosphoric acid plants, Seawater, Water Treatment co, Chemical plants, Food processing plants etc. We have in house facilities for manufacturing of Pipe Fittings, Flanges & Branch connections, such as Cutting, Hot & Cold Forming, Pressing, Welding, Heat Treatment, Machining, pickling, Hydraulic Testing, Ball Passing and Passivation and anti rust coating for excellent protect & durable packaging. To Provide the best quality Products & Services by Maintaining High Standard of Manufacturing, at low cost, on time delivery with Customized Products with Total Clients Satisfaction. Utmost satisfaction of client's expectation. 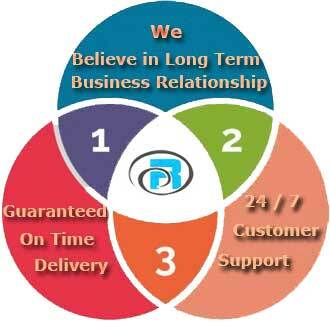 lnnovative, Cost and Time effective services. Fulfilment of defined quality objective target. Our commitment to quality is unflinching, our hunger for growth is deep-rooted and our capacity for details is amazing. The group is determined to improve productivity and focus continuously on innovation and up gradation of its products and people. We ensure that quality targets are set and achieved for every job that the client entrusts us with. Our quality control procedures are designed to sieve out gross human errors and nothing is left to chance. The quality policy has paid us the best dividends. lt holds the key to our success. We are Certified PED 97 / 23 / EC / AD 2000- ISO 9001, ISO 14001, OHS 18001 CERTIFIED APPROVED.